Dr. Annette Allen graduated in 1981 obtaining a Bachelor of Dental Science with Honours from the University of Queensland. She is the joint holder of two academic prizes in her graduand year in Periodontology (the study and treatment of gums and bone health) and Oral Surgery. Her special interest area is the treatment of gum disease. As an undergraduate, Annette was the first student in the state of Queensland and one of five Australia wide, to be awarded a research grant by the Australian Dental Research and Education Trust (now the Australian Dental Research Foundation). Her research results were published in the Australian Dental Journal 1981. After graduation and initially gaining valuable experience by working both in the School Dental Service in Cairns and then in the hospital dental clinic at Longreach, Queensland servicing remote areas such as Muttaburra, Jundah, and Birdsville, she then was employed in private practice in Gladstone, Queensland. With her husband, Dr. David Allen, she re-located to Tweed Heads in October 1985. She then purchased a small private dental practice in South Tweed Heads from Dr. John Sifter (his branch practice) beginning her practice on December 1st, 1985 which was later to become Tweed Banora Dental. The practice was located on the first floor of Windsor House for sixteen years. It became necessary to find a ground floor location with wheel-chair access and easy access for the elderly and that place was found across the street at suite 5, 81 Minjungbal Drive. An exciting opportunity presented to custom design and set up her new premises and the practice re-located there in April 2001. Annette has always endeavoured to stay up to date in dentistry and with respect to equipment, a major milestone was the provision of new dental chairs and digital xrays in 2007. 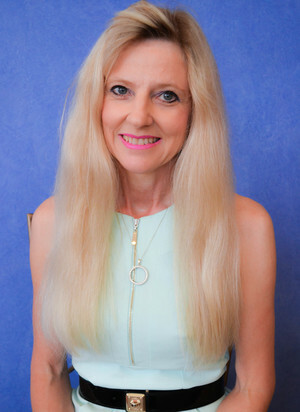 Annette has remained committed to excellence throughout her thirty-two years of dental practice and offers a combination of experience, high quality evidence-based practice with a gentle and caring touch. She does all aspects of general dentistry except wisdom teeth removal and particularly loves treating gum disease, doing cosmetic dentistry and root canal treatments. She has been a member of the Australian Dental Association since her student days and has been an active member of the Gold Coast Sub-Branch since 1985. Additionally, she is a Supporter of the Australian Dental Research Foundation. With her husband she has raised three sons in the Tweed and they have been proud residents of the Banora Point/ Tweed community which Tweed Banora Dental serves, for twenty-eight years. In her spare time, Annette likes to spend time with her family, cook, listen to classical music, play a digital pipe organ, read, and write poetry. She is a keen snow skier. Annette is a digital and acoustic pipe organist at her church on the Gold Coast and Brisbane. Since 2010, she has served on the Management Committee of the Somerset College Foundation and remains a committed supporter of and benefactor to Somerset College, the school her sons attended. It was her privilege (and that of Tweed Banora Dental’s) to sponsor The Somerset College Celebration of Literature since 2013. Annette has been the sole sponsor of the Somerset National Poetry Prize since 2014, a national poetry competition run annually for secondary school students in association with the Somerset Celebration of Literature. Annette is committed to the well-being of her patients and counts it a privilege to serve her local and Gold Coast Community as a member of the dental profession. Please fill out out the form below and we will get back to you as soon as possible!